No.1 Ad System (No.1AD) is an extremely powerful & scalable advertising solution. No.1AD is a top notch Advertising systems like Google AdWords, Facebook & LinkedIn Ads as well various Ad networks. With No.1AD, Advertisors can manage their Ad design, targeting & checkout flow in minutes, plus having the best experience in advertising on No1Media website network. No.1AD gives power to the Advertisers by letting them chose from an Array of Ad targeting options like Geolocation Targeting, Demographicor Social targeting as well as Keyword targetting. Thus greatly improving their ROI. Our extremely intuitive Ad Designer & detailed Ad performance Dashboards as well as weekly emails ensure your Advertisers are happy! No.1AD supports 2 awesome Revenue models. The traditional pay per Ad model with ability to pay per click, per impression & per day or with the ability to Pre Pay & run Ad campaigns on a per impression or per click mode till the balance runs out. 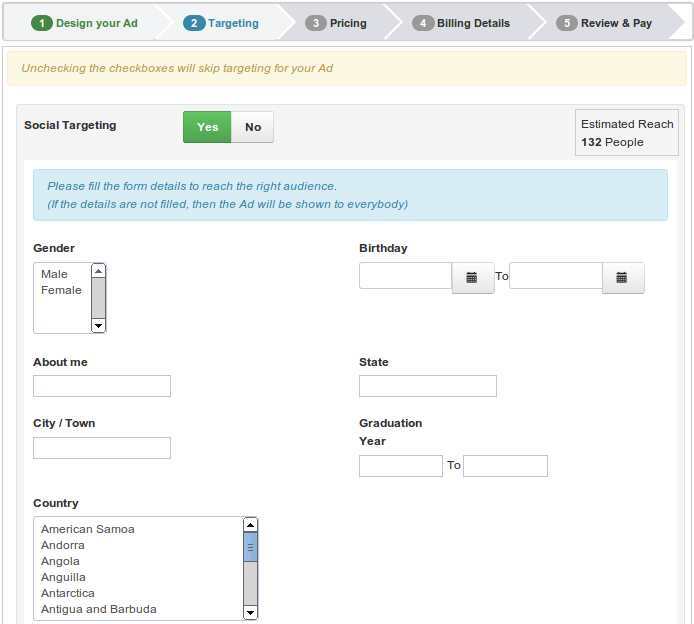 No.1AD offers an array of targeting options that the admin can choose from to offer advertisers. Advertisers can also choose to maximise their audience by setting up untargeted Ads. In case none of the available targetting options are not used, then Ads will be shown to everyone including guests. Advertisers can chose to show Ads only on pages that content the Keywords relevant to their posted Ad. 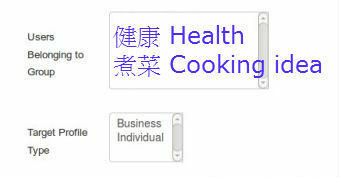 In this case, the Ad shall be shown on pages that has maximum relevance to the configured Keywords against the Ad. 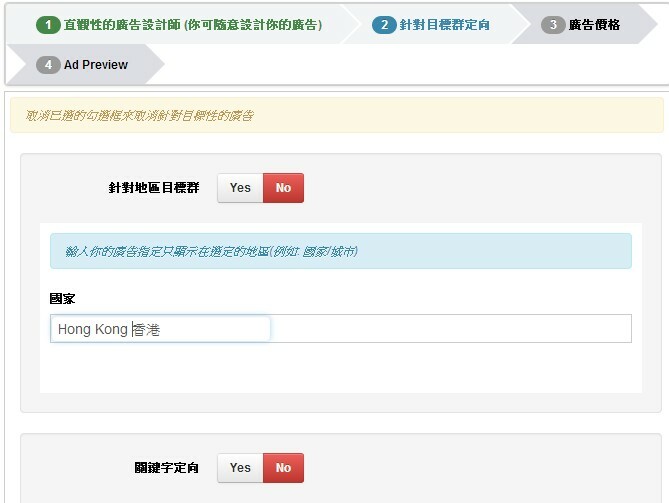 Using this feature, Advertisers can chose to show Ads only to users in specific locations by choosing location variables like Country,City,Zip Code. Real time geo location information based on the visitors IP address is used to do geolocation targeting of Ads. Target ads according to demographic information like gender, location, interests etc for showing relevant ads to logged in users. 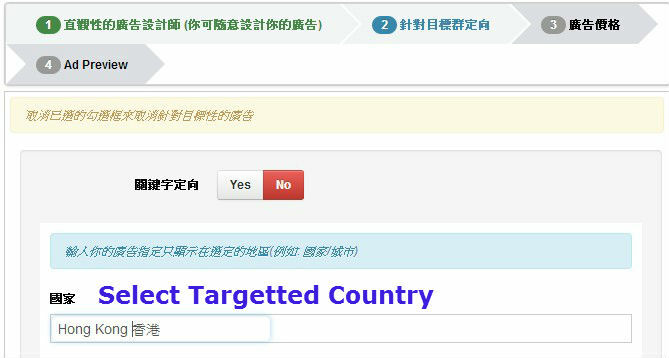 Profile information from No.1 sites' Social network can be used for targeting. Extend the No.1AD targeting functionality to Social Groups, Social Profile types targeting. Ads in designated Ad zones on No.1 sites. 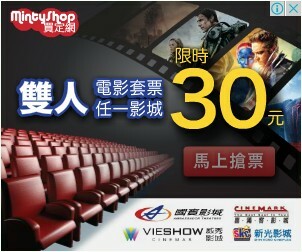 Multiple Zones to show Ads of various types & sizes. Ad shows promoted Search results with this awesome feature. Search Ads work with Keyword targetting & Ads relevant to the Search are shown against the Search results in regular Ad display zones. Show Ads in No.1 site(s) emails with our AdsInEmails function. Supports multiple email extensions to allow advertiser(s) to dynamically send targeted or untargeted Ads in site emails. Small easy to read & can be designed to fit almost anywhere (zones), text ads make it easy to utilise small spaces on No.1 site(s) to maximise ad promotion reach. A Picture is worth a thousand words & a video even more so. Advertisers have full flexibility to create Ads using Images, GIF animations, Videos or Flash animations. A Picture is worth a thousand words & a video even more so. Advertisers is full flexibility to create Ads using Images, GIF animations, Videos or Flash animations. Sometimes an image or video isn’t enough. You need both. Facebook & LinkedIn use these effectively. This is an old favourite with advertisers. 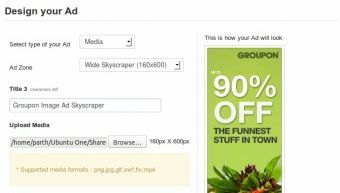 Promotion plugins make it simple to let advertisers advertise in content by autocreating suggested ads for them. Optionally show a rough estimate of how many users an ad will reach to based on Social Targeting. Flexibility to incorporate any kind of a No.1 site & to allow any kind of Ad layouts & sizes is extremely important for a good Advertising system. With its awesome feature, No.1AD serves these needs beautifully! Zones define what kind of Ads can be placed in a certain part of No1Media's sites. 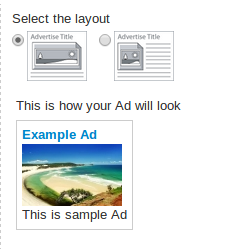 The Ad dimensions, Type etc can be defined to suit the Ad location. The relative positioning of the various elements of the Ad are defined in Ad Layouts. 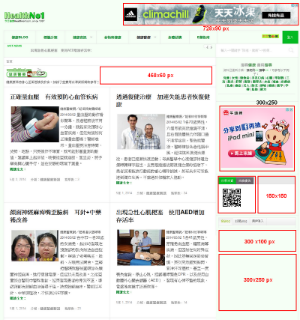 We have offered full flexibility to design varying Ad layouts using layout plugins. No.1AD offers with a few common ones while giving advertiser full scope to innovate & create some more! The Ad Designer is the first thing your Advertiser sees of the system. Its extremely important that he or she is impressed & at the same time not feel daunted. No.1AD offering a super simple & extremely intuitive Ad designer which offers a live preview of how the Ad will look once in action. Coupled with Promotion plugins, No.1AD can also suggest Ads to user(s) based on No1Media.com content. No.1AD lets the Advertiser chose a traditional or a Global payments method. 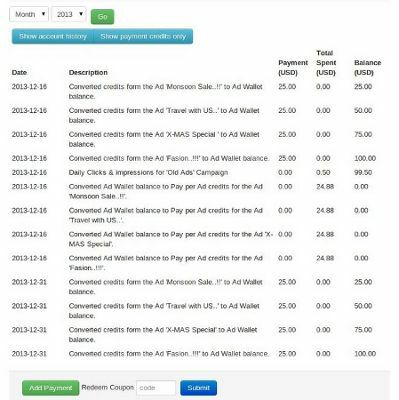 Here the user has to make a payment per ad that he places on the site & checkout every time. This mode supports pay per click, per impression, per day & Payment slabs. This is the default mode for No.1AD. This mode does not support Campaigns & Budgets. This mode works the way Google, Facebook & LinkedIn Ads work. Here the advertiser needs to maintain a balance against his account. He or she can then create campaigns & set daily budgets against ad wallet balance. He can then create ads without having to pay & checkout for every Ad. This mode Supports pay per click & pay per impression. Slabs & Pay per day are not supported in this mode. Advertisers have the flexibility to pay how they want for No.1 Ads. chose between Pay Per Click, Pay per impression or Pay per Day or as per preconfigured Payment Slabs. Define Promotional slabs for Pay per day type ads & let advertisers pay by the week, by the month etc. No.1AD contains common payment gateway systems for advertisers & supports over popular payment gateways including recurring payments where supported. Advertiser(s) can enjoy perioically advertising discounts to promote advertising on No.1 site(s). Zone based pricing: pricing set on a per zone basis. This means higher pricing for the more premium exposure on No.1 site(s). Ad exposure and ad report is transparency with AD reporting. No.1AD has inbuilt features to make sure Advertiser is impressed with the array of reporting tools that each ad worth for promotional spening! Comprehensive dashboard to show an aggregated performance report of the advertisers ads in a neat line chart. See how a specific Ad is performing with a detailed report specific to the ad including clicks, impressions & CTR as well as ignores & reasons of ignore. Let users ignore ads & give feedback on why they ignored the Ad. Advertisers can chose to show Ads only on pages that content/article(s) with the Keywords relevant to posted Ad. In this case, the Ad shall be shown on pages that has maximum relevance to the configured Keywords against the Ad. Sometimes an image or video isn’t enough. You need both. Facebook & LinkedIn use these effectively. This is advertisers' favourite choice. Advertisers can chose to show Ads only to users in specific locations by choosing location variables like Country, City, Zip Code. Real time geo location information based on the visitors IP address is used to do geolocation targeting of Ads. 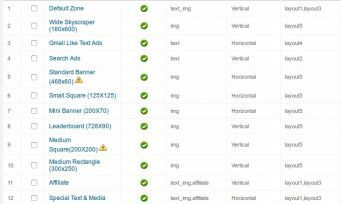 Search Ads works with Keyword targetting & Ads relevant to the Search are shown against the Search results in regular Ad display zones. Show Ads in No.1 site(s) emails with our "AdsInEmails function". 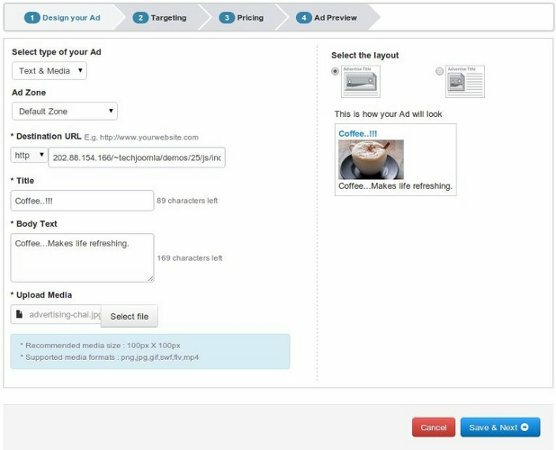 Supports multiple email extensions to allow advertiser(s) to dynamically send targeted or untargeted Ads in site emails. Advertiser(s) can enjoy perioically advertising discount coupon to promote advertising on No.1 site(s).